Various phone boxes, signposts, wheat fields & fords! 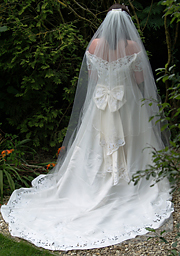 www.sherbornecastle.com Civil ceremonies, receptions, stunning location! www.thevictorianbarn.co.uk Civil ceremonies, receptions & accommodation. Wonderful! www.blackrowfarm.co.uk Reception venue and accommodation, fabulous location. 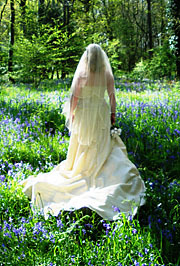 www.oldrectoryholidays.co.uk Possible garden/marquee receptions by arrangement + B & B. Very beautiful and ever so slightly eccentric! www.oakleafmarquees.co.uk Plus all the extras! Excellent. www.cakesbylisanotley.co.uk Have both seen them and tried them; works of art! www.dorsetfinedining.co.uk Let Nick Holt take care of your culinary needs for up to 200 guests. 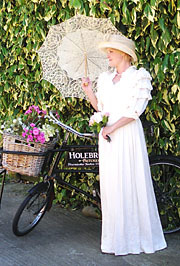 www.florriesteaparty.co.uk Planning a vintage feel for your reception? Check out Florries Tea Party for beautiful china place settings. www.milliepilkington.co.uk A discreet & talented friend whose professionalism and talent is legend! Commissioned as private photographer to the Duke & Duchess of Cambridge at the Royal Wedding in April 2011 …. Is there a higher recommendation?! www.markbuffphotography.com 'Artistic & unusual work; really captures the moments! Beautiful coffee table book albums produced. lewisandschofieldphotography.co.uk Highly recommended. Excellent work and extremely helpful. Really capture the essence of the day! www.rusticrose.co.uk Katy Knott knows her blooms and will do you proud!